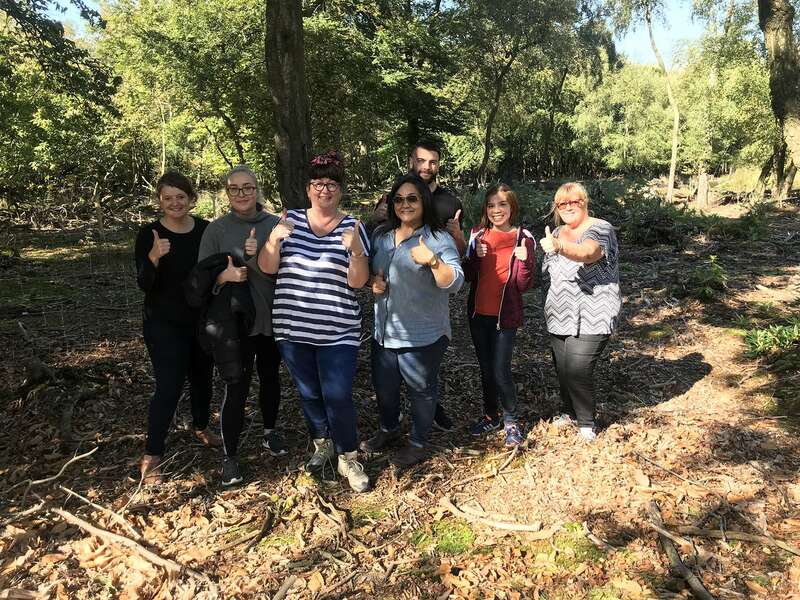 Centre for Sight welcomed the opportunity to support Hindleap Warren Outdoor Learning Centre in Forest Row, West Sussex as their charity of the year!! We are excited and proud to have the opportunity to participate and collaborate with Hindleap which provides a plethora of benefits to the surrounding community and at the same time bringing environmental and sustainable continuity. Hindleap Warren Outdoor Learning Centre is situated in a 300 acre site of special scientific interest just off the A22 at Wych Cross – a 10 minute drive from Centre for Sight, East Grinstead. Run by the charity London Youth, this residential centre, inspires young people through outdoor learning and a wonderful charity for Centre for Sight to support. 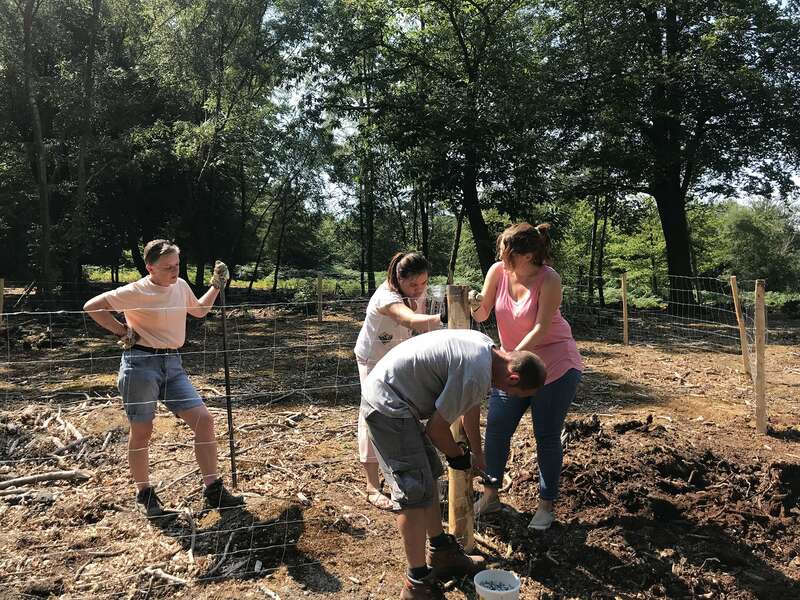 Volunteers from our Centre for Sight team recently contributed towards one of Hindleap Warren’s objectives in achieving woodland preservation, by constructing a roundel to help increase the nurture and protection of woodland plantation from animal damage. In addition to building a roundel, the team were able to position new plants within the newly constructed area, in the hope for oak tree growth, subsequently creating new nesting sites for wildlife too. Staff helped clear this area of woodland that had been taken over with rhododendron. This should allow native species to re-establish along with the roundel providing protection from the deer population. Hindleap Warren has a number of accreditations and holds the gold standard from The Association of Heads of Outdoor Education Centres, is “Learning Outside the Classroom” certified and also has the Adventure Activity Industry Advisory Committee mark. The organization prides itself in offering a quality experience for young individuals, with approximately 10,000 visits each year from a variety of schools, including Special Educational Needs schools and youth clubs from Sussex, Surrey, Kent and London. Over 850 visitors are registered disabled showing the significance of social inclusion. The centre provides excellent opportunities for adventure and outdoor activities including kayaking, archery, bush craft, high ropes, obstacles and orienteering. Centre for Sight is a high-end eye care provider that enjoys a national and international reputation. Much of this success relates to our values and it is a joy to contribute to our local community beyond just eye care provision and we look forward to future fun visits to Hindleap Warren.